Jyothi is a young ailing mother with a very sick husband and two young children. The Vemagiri family lives in Andhra Pradesh. 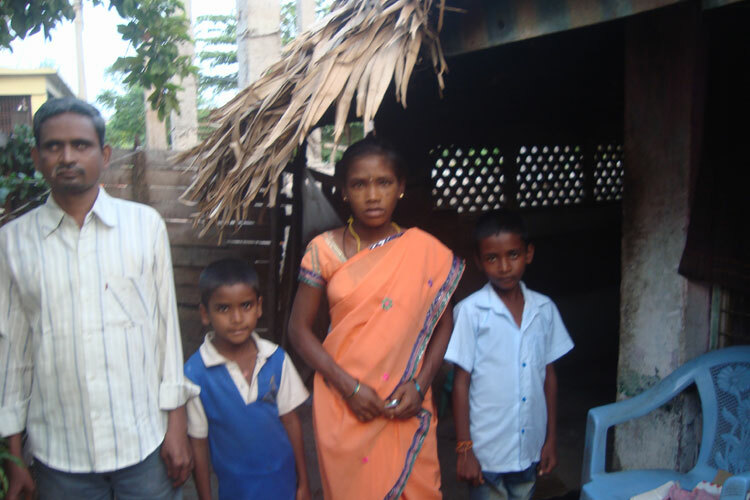 Jyothi (mother) and Sathyababu (father) have two beautiful young boys, aged 10 and 7. They are proud parents, and will sacrifice anything to ensure their sons have a bright future. Sadly, both Jyothi and Sathyababu are suffering from health complications related to HIV. Once a hard-working man, Sathyababu has now completely lost his sight to the disease, and relies on the help of his mother, Katheri, who has moved in with the couple. Jyothi has no education so she must work doing hard labor to earn any income for the family. Between their ill health and difficulty earning an income this family is in very precarious circumstances. Their situation is made even worse by the dilapidated state of their small home, which threatens to collapse in each passing storm. 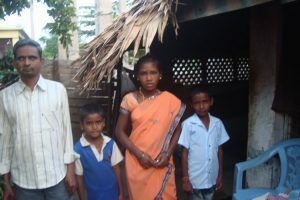 With the generosity of a sponsor this family could start a small-home based business that would allow them an income and some stability in their lives. They are dedicated parents with the motivation to improve their condition – can you help?